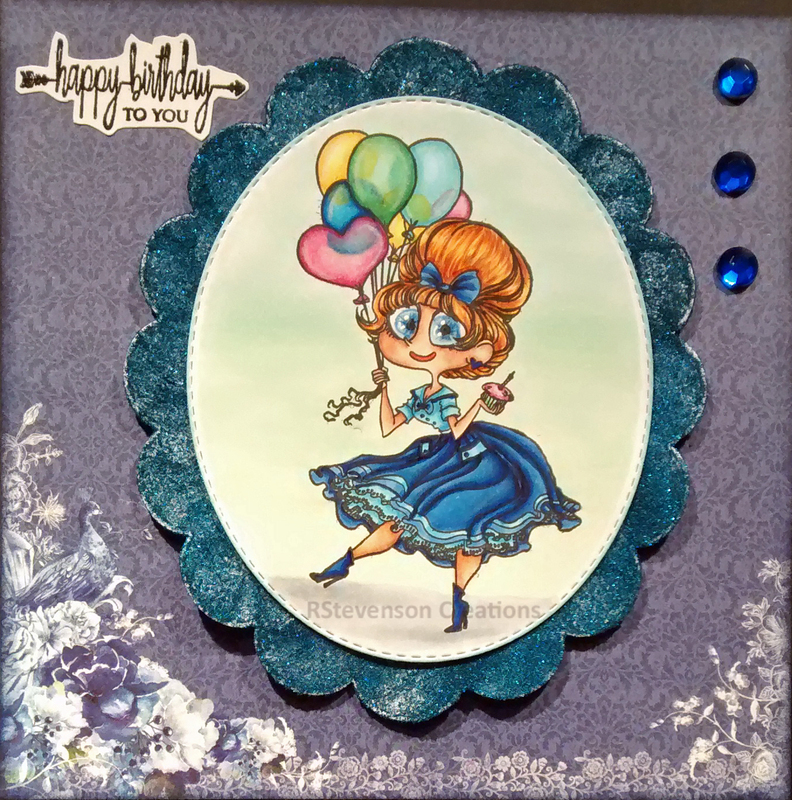 Sharing a birthday card that I made in shades of blue. Also including a close up. 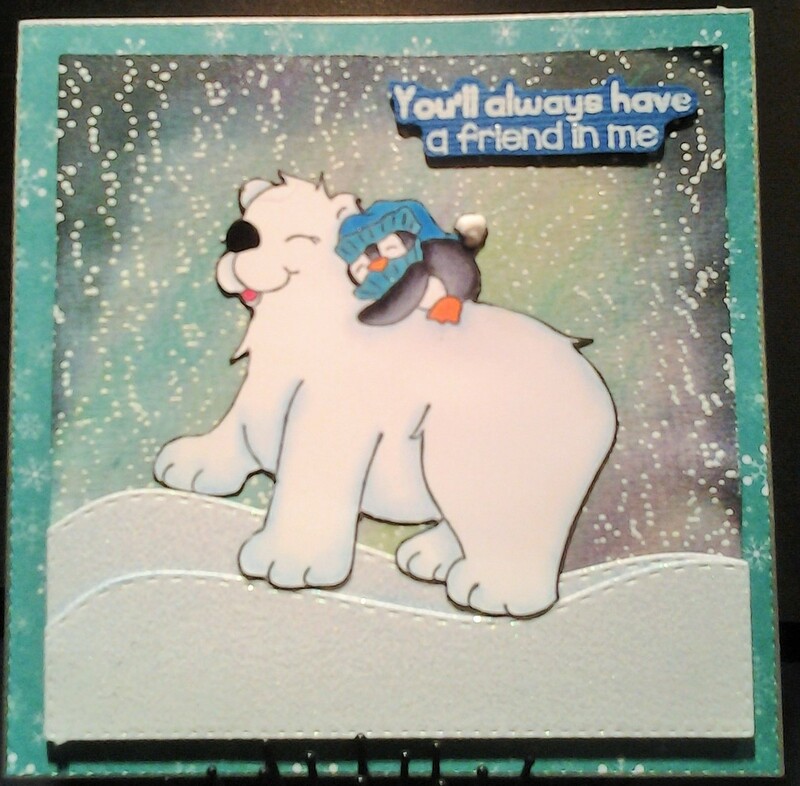 Stamped image onto Copic Marker X-Press It Blending Card with Memento – Tuxedo Black ink using my MISTI – Most Incredible Stamping Tool to get a nice clean inked image. 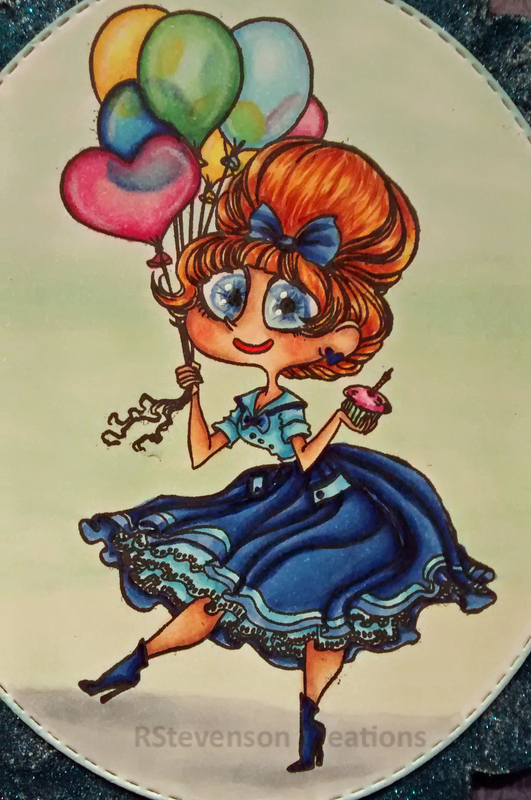 Coloured in image using a combination of Copic and Specrum Noir Markers. Used Gelly Roll Sakura #8 Pen on eyes. Sentiment stamped with Versa Fine – Onyx Black and then embossed with Ranger – Clear Super Fine Detail embossing powder. 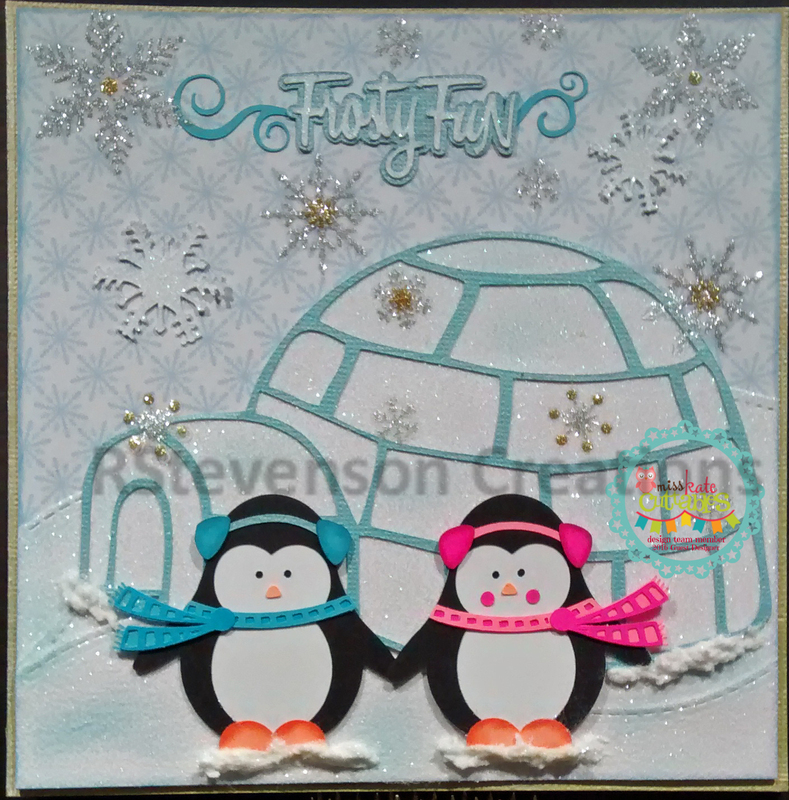 Die Cut: My Creative Time – Scalloped Stitched Oval Dies. Surprise everybody!!! 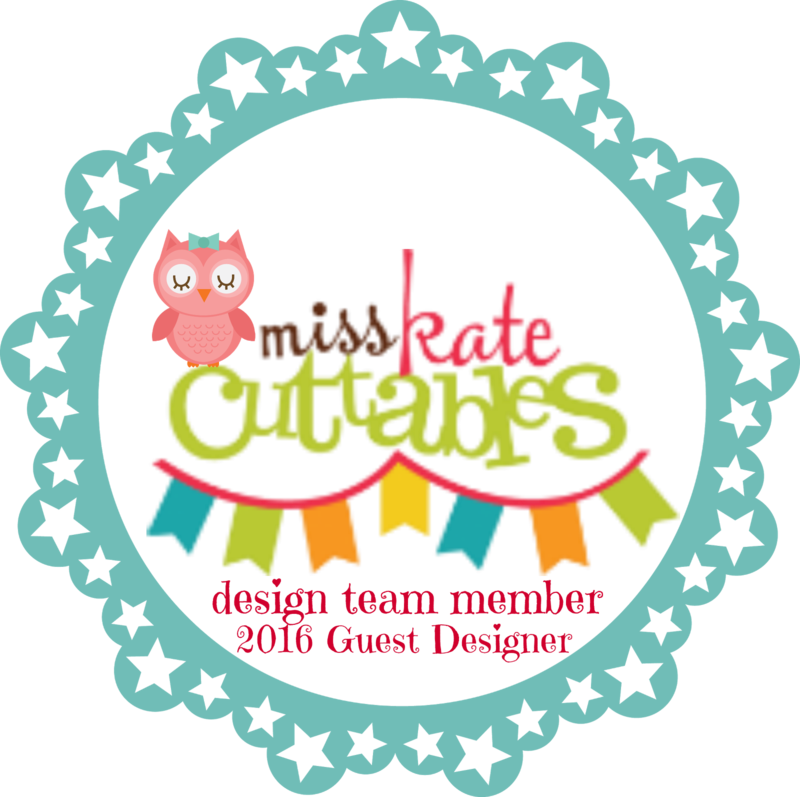 I am guest designer for today on Miss Kate Cuttables. I was so happy when I discovered her site a few years back. I check back everyday to see what the new Freebie file is and I use her cuts a lot in my cards. When I found out that I was being offered a guest spot on her site, I was SUPER excited. 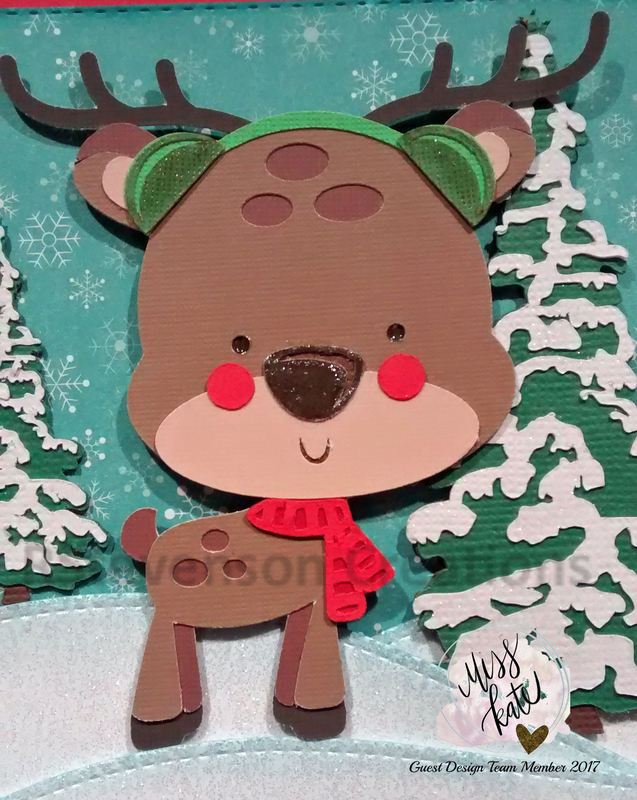 I love doing all kinds of crafts and especially cardmaking. I make a lot of Birthday and Christmas cards every year. 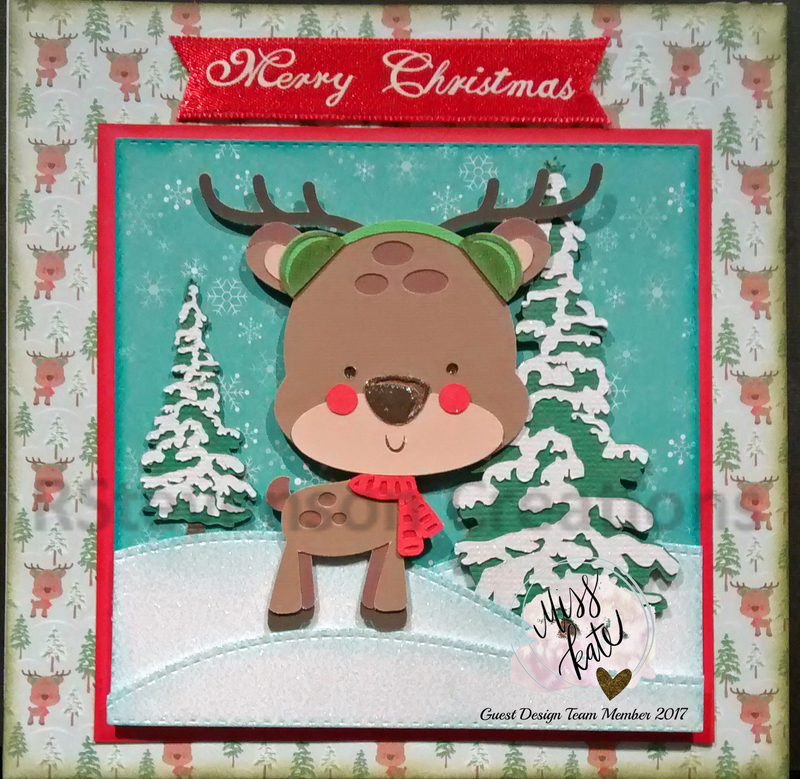 For today, I decided to showcase some Christmas cards I made using these 2 files from Miss Kate Cuttables. 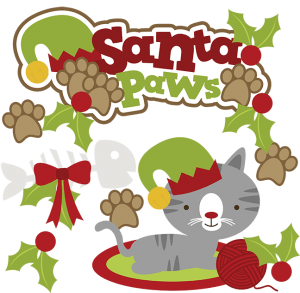 (Santa Paws and Frosty Fun). 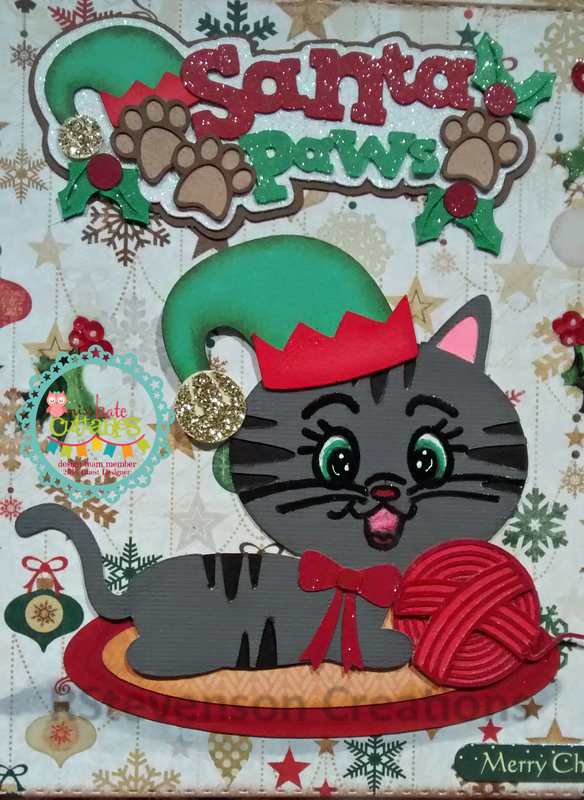 For the first card I used the files which can be found here (http://www.misskatecuttables.com/products/product/santa-paws-cat.php#). 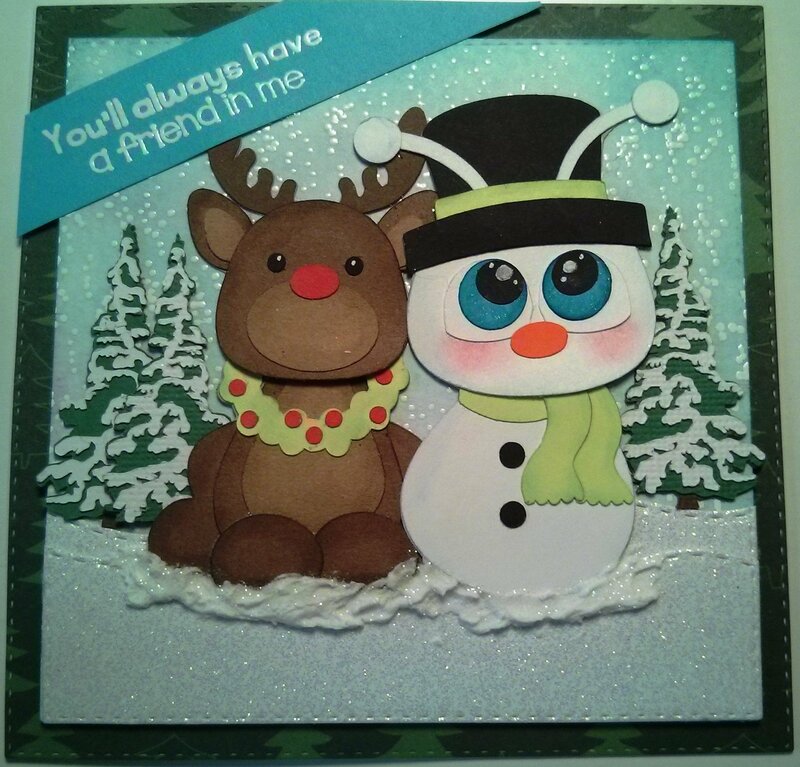 I cut out the images using my Cricut Explore and Cricut Design Space. Then used my Xyron to assemble the pieces easier. After assembling the items, I used Clear Wink of Stella on “Santa”, the holly and the bow. On the leaves, I used Wink of Stella – Green 040. 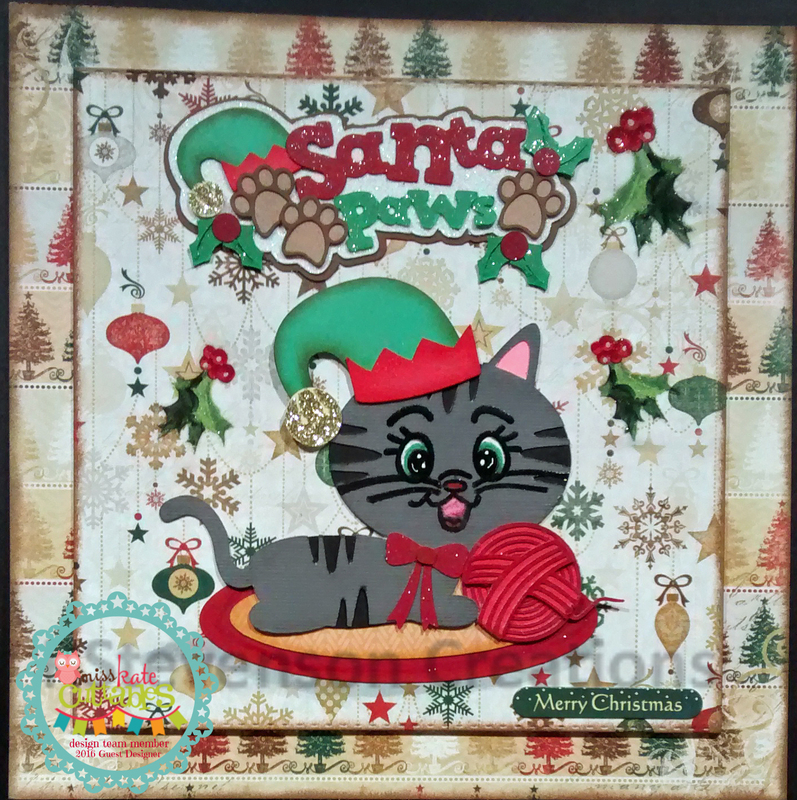 For the face on the cat, I used Peachy Keen Stamps – PK110 Here Kitty Kitty Face Assortment. Used StazOn – Jet Black ink and Ranger – Clear Super Fine Detail embossing powder. 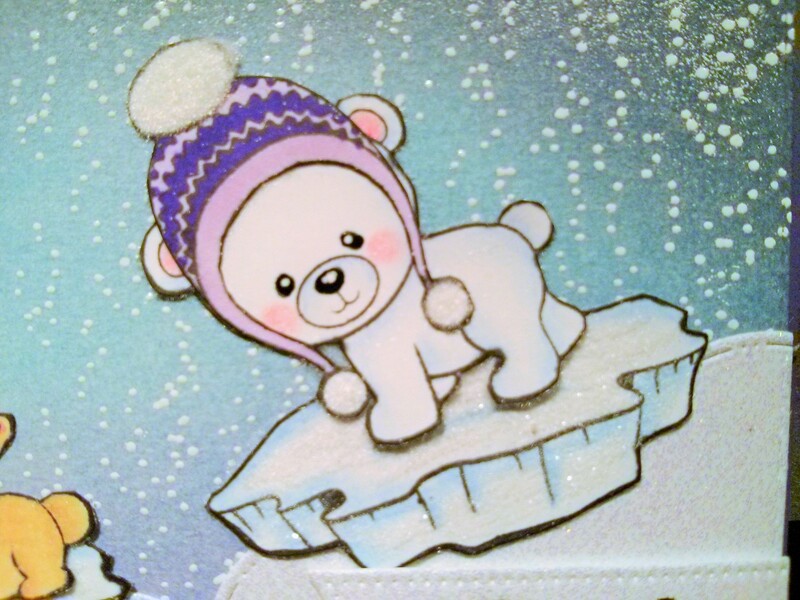 Brightened up the eyes using Gelly Roll Sakura #8 Pen. Adding a touch of pink, green and red markers to accentuate the eyes and mouth. 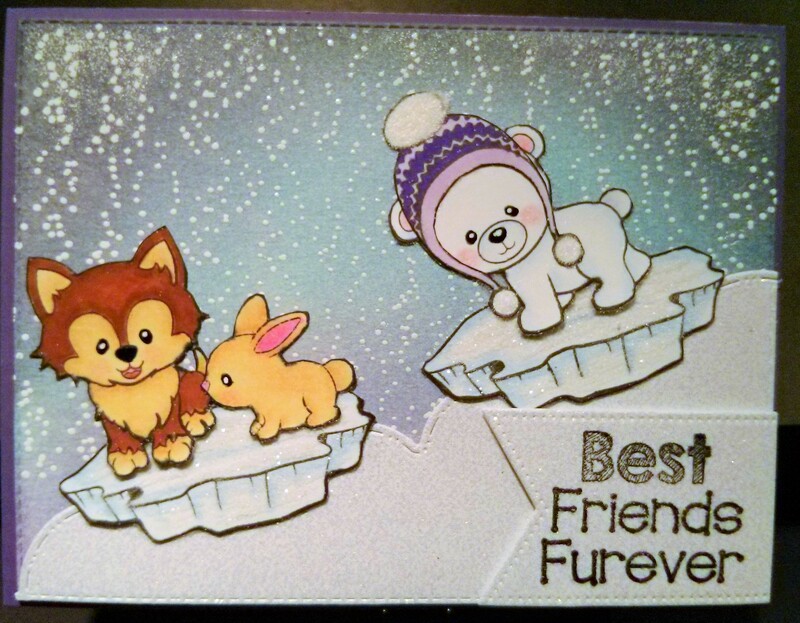 Patterned paper is from Bo Bunny – Silver and Gold Collection Paper – 6 x 6 in pad. Square stitched backgrounds is cut out using My Creative Time -Stitched Squares Inside and Out. Went around paper background edges with Tim Holtz Distress Ink – Vintage Photo. 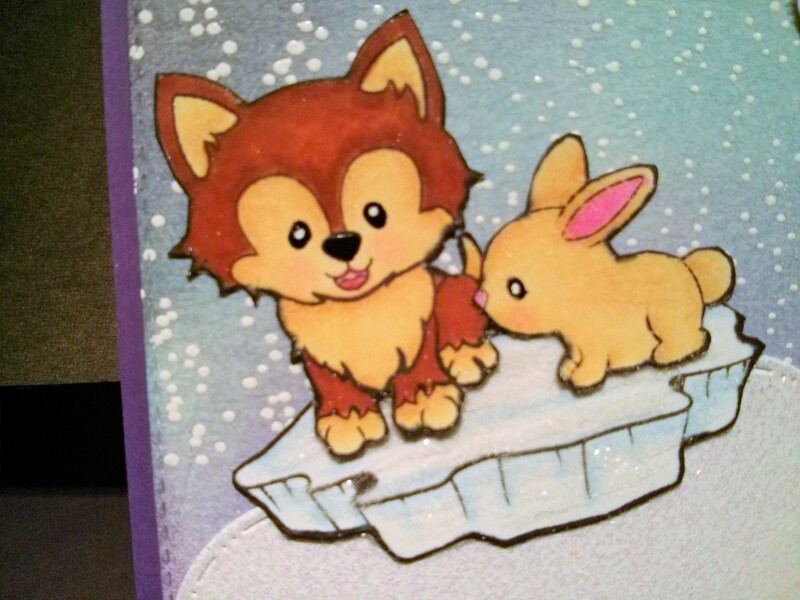 Used Sharpie – Gold Medium Point – Water Based Paint to go around the edge of the card. 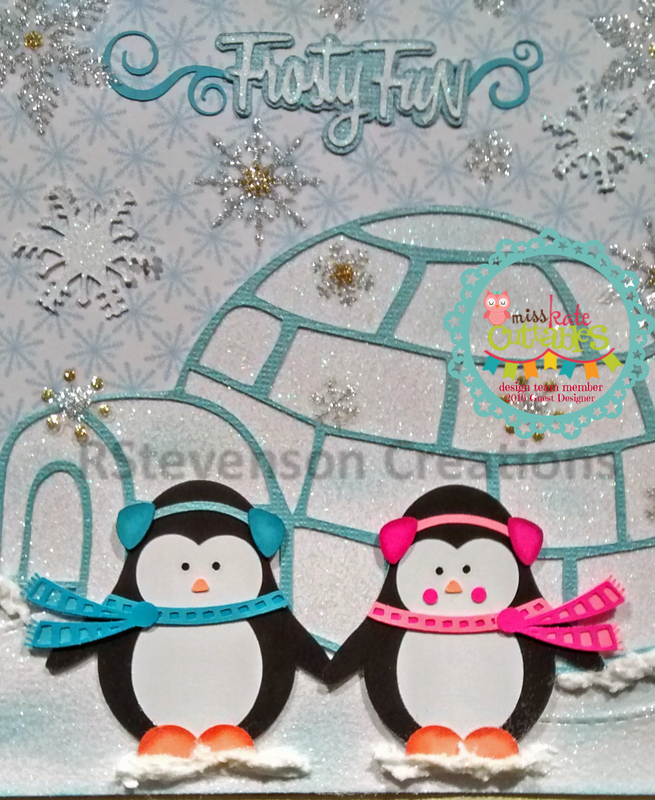 Recollections Christmas Ink Jet Printable Glitter Paper for the snow scene and igloo. Aleene’s Glitter Snow below the feet and igloo. 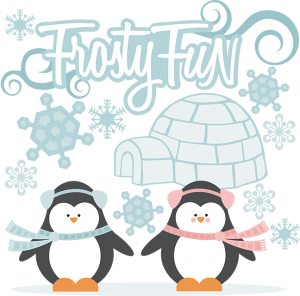 Extra snowflakes from Holiday Time – Snowflake Stickers – Forever in Time. Background paper – Recollections – Blue Christmas – 6 x 6 in. paper pad. Edging – Tim Holtz Distress Inks – Tumbled Glass. Below are the files that I used. Miss Kate Cuttables, thanks again so much for allowing me to be a Guest Designer on your site today. I enjoyed making the cards and had fun using the files.